Everyone knows that health is wealth. If you do not correctly intake your sleep, then you are facing a lot of issues. Today, smartphones can assist you almost in every part of life. For instance, some smartphone apps like Fitness Apps can help you shed off pounds. It is quite a simple sleep cycle app. You will get an alarm clock that comes with pleasant tunes so that your sleeping would not be affected anymore. It depends on you that you use vibration or sound for setting the alarm clock. Meanwhile, Sleep Cycle Alarm Clock comes with the statistic of sleeping cycle. 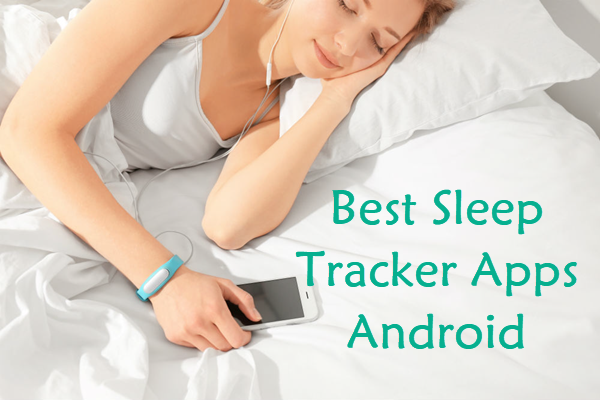 It is an excellent sleep monitoring app that is specifically designed for Android users. The primary purpose is to help in your sleep regulations. Through this app, you are not disturbing anymore. 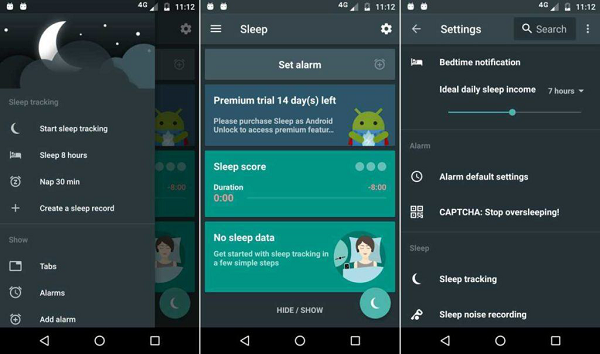 The Sleep as Android is helpful for tracking your sleep cycle. Additionally, you can also check your sleep graph records. Only you have to do is, place your smartphone near your mattress. You may also find lullaby tunes that improve your sleep. There is also an opportunity to set the alarm clock so that you can wake up on your time. People who use this app always say they sleep better with Runtastic. It comes with the sleeping sign of using this app. Because it shows proper statistic details, so you will get the sleeping track, and you can easily monitor your sleep. The only thing you have to do is to set the alarm and place your phone beside your pillow. 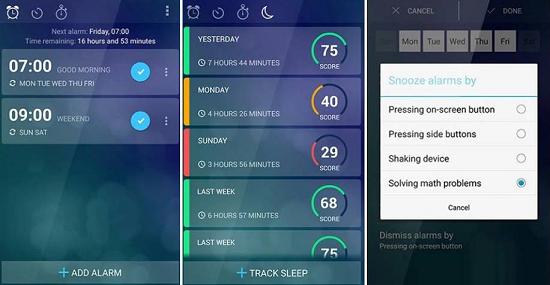 What’s more, Runtastic Sleep Better efficiently works in the airplane mode also. 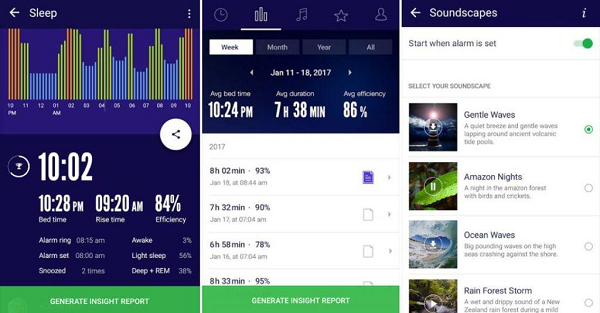 This sleep better app comes with the alternative sleep tracker that is available for both iOS and Android. 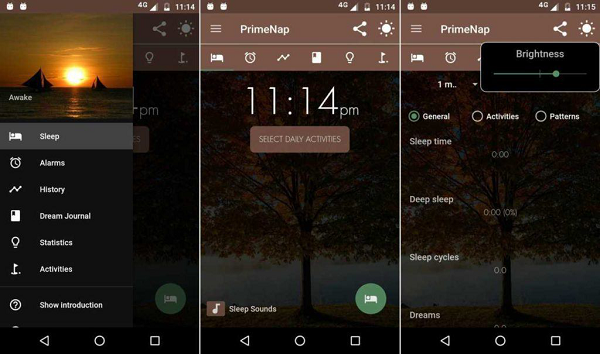 In this app, you will get the basic functionalities, for instance, the smart alarm clock and the sleep tracking. You can easily customize your sleep data as well as generate your sleep chart that is easy to read. It comes with the feature of excellent monitoring. There is no add comes in this app, and it is totally free. 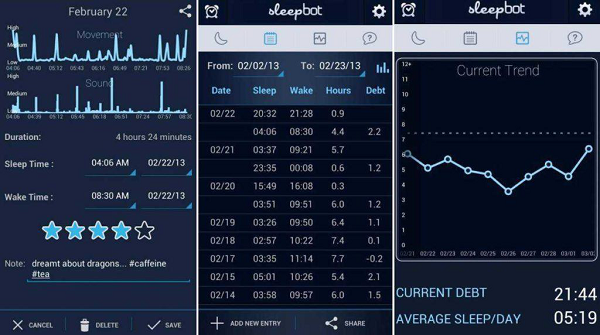 Additionally, the SleepBot is helpful for recording and detecting the movements of your sleep. It’s like a complete strategy program that controls your sleeping patterns. If you want to wake up early in the morning, then you can use the featured alarm that has the ability of customization. 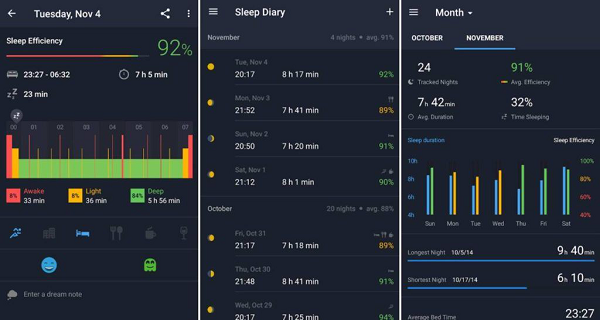 Technically, this sleep tracker app can reach the beta stage. There is a variety of alarms, it means that you can easily customize it. The sleep tracking strategy shows the analyze behavior regarding your sleep. You are unable to snooze the alarm. However, the snoozing can easily reach the case when you solve the math problem. It is a quite helpful sleep tracker app because it records the snooze time and measure your sleep quality. There is an advance snooze algorithm that comes with the detection patterns. The snooze will be minimized in the case when you record the samples. The best part of using this app is that you can email the alarm sound file. The SnoreLab can also easily measure the frequency and the snoring intensity. To check the sleep patterns, you will get the detail graph. In every single stage, you can quickly evaluate the N1, N2, N3 or the REM. The other feature of the Sleep Tracker includes screen dimmer, dream journal or the sleep sound. You will get this app for 14 days’ free trial with the high customizable sleep record. 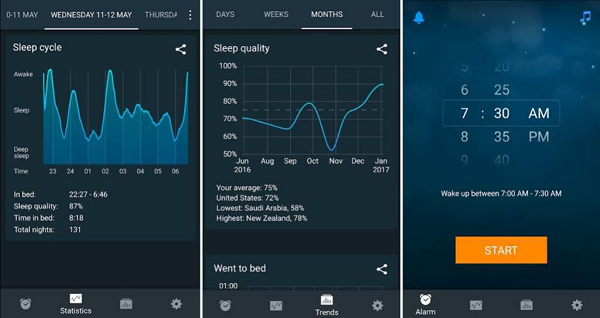 These accurate sleep tracker apps for Android simply help you record your sleep, measure your sleep quality as well as wake you up early in the morning. Some app comes with the toughest algorithm that you are unable to snooze the alarm. 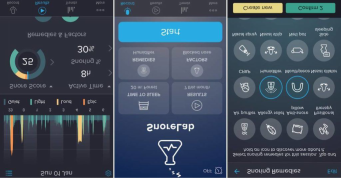 So, before using any of these measure sleep quality app please make sure that you are fully aware of their feature, and then choose the one that best suits your needs.